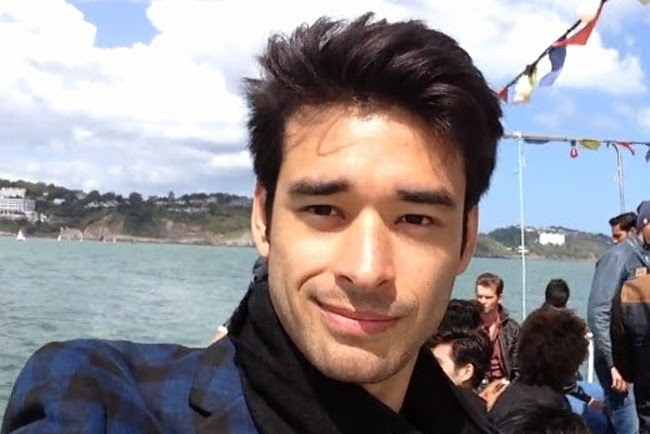 June 15, 2014 marked the life history of John Spainhour, Philippines’ male beauty representative for Mister World 2014 when he experienced the big time support of Filiino people despite of missing the top 10 during the male pageant held in Riviera International Conference Centre in Torbay, UK. 46 of the world’s most desirable men battled at the pageant including John De Lara Spainhour, 27-year-old Filipino-American model. Though lost the pageant, he never felt any regret since it marked his personality when he experienced the heartfelt support of Filipinos.He couldn’t believe what lies in front of his eyes and admitted that he was appalled by the support he gained. He told ABS-CBN news that it wasn’t him alone who noticed but everyone around specially the MR. World Organization. He expressed his gratitude by addressing all Filipino and giving thanks for the BIG TIME support. He added Filipinos were amazing! Just before the contest, Filipinos kept rushing near the venue to wish him good luck. During the contest, a vast crowd of Filipinos also came to the live finals with the Philippine flag. Win or lose, the people never got tired in supporting him. To mention the lucky one who received the crown: Mr. Denmark, Mr. Nigeria as second placerand Mr. Mexico at third. The said male pageant was hosted by Miss World Megan Young & former contestant Mr. World Canada 2012 Frankie Cena.Miss world herself commented that she was very proud of Mr. Philippines fro working hard for the contest.